I really agree, i mean YeSung’s really awesome. He’s secksiee. 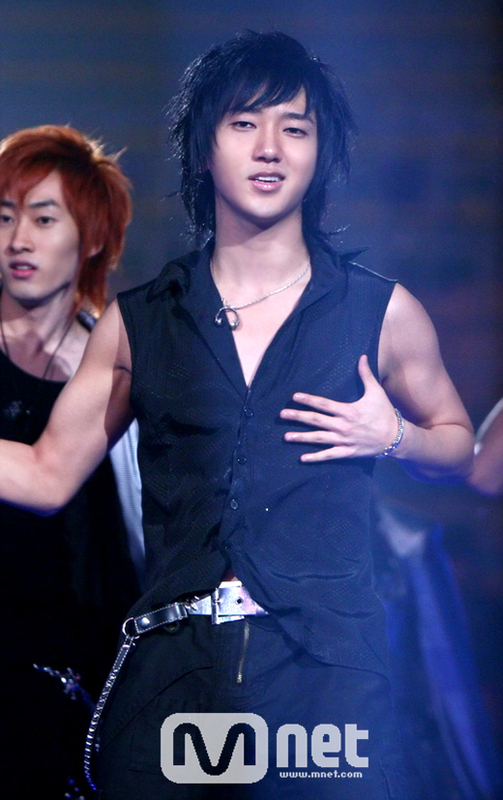 The best member in SUJU to me :]] They should really show YeSung more. OMG!!!!! i agree!!!! but i have to say that when they frist came out he was the first to catch my attention. why and how? because when they were singing i heard his voice mostly over all!!! his unque and wonderful voice was heard most and from then on i fell in love with his voice, never knew the the bonus looks would make me gasp for air!!! lol!!! i love him lots! I first saw Yesung on the EHB show and he had such a bright personality. That was my first time actually getting to know him and even if you do some research, there’s not that much stuff about him and you can’t see him as much as the other members. In my opinion, he has the most outstanding voice among the Suju members and he should get more credit for it… I just don’t get why their company only promotes some of them and do not make an effort to make all of them equally popular. As fans, we should show him more support and love. Yesung you are so loved in Latin America, so fighting!!!!!! I don’t think you could’ve said it any better. Yesung is my favorite of the group and his not getting enough tv time and/or wanting to be shown more is one of the main reasons why I love him even more. I hope they show him more on tv and give him more of those R&B songs, ’cause that’s when he shines the most. ok~ i just realized that when you posted this. by reading the replies from other fans,honestly it made me cry… i dnt know why. i swear im all tears now.. i agree it made me mad.. seriously yesung has an amazing voice, hes the best among them, i mean im dont have any faves (obviously, its hard to choose) i hope people can see that and realize it. yesung, I LOVE YOU! I love yesung more than anyone(except ryeowook)in suju.!!! I couldn’t agree more…Yesung is wayyy too underrated, which makes me really mad as well. Yesung should go solo,.i mean he has the voice, the looks, very good personality. For short,.his PERFECT!!! But he doesn’t deserve to be left out. I agree, without him,.Super Junior is not Super Junior. He is the voice of Suju without him all of them will be nothing. i hope he gets more screen time…. he is the most important member but he’s not that appreciated for his hard works…. Suju’s songs will be empty without his voice..
yes i agree with all these ppl he should get more close ups. cuz out of all of super junior he has the most beautiful voice of them all, because i know wookie and Kyuhyun have great voices but they could never do yesung’s part.because wookie voice is really strong and kyuhyun voice is husky ans strong as well when he hits those high notes. even though my fav is Kyuhyun i still think the best voice of super junior is yesung. 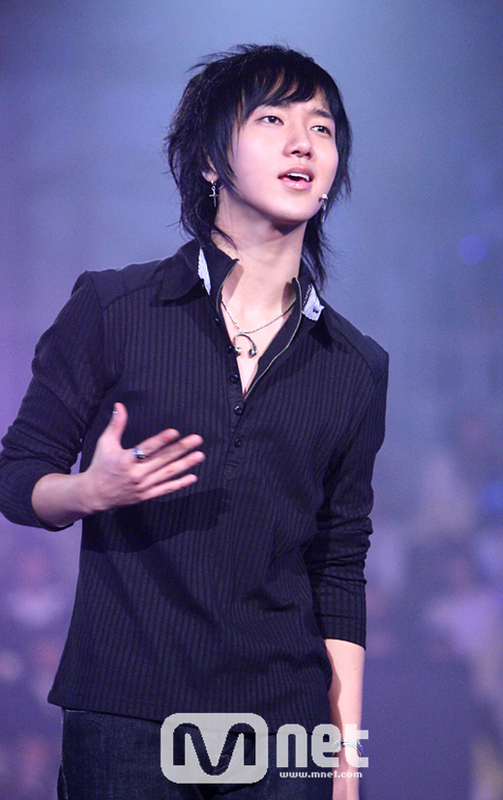 i love super junior to death but they would be nothing with out YESUNG…….his voice is unreplaceable.. I love yesung oppa. . It really ticks me off too when people don’t recognize his talent and how hard he works to be noticed. Really thanks so much for the people that really see it! I’m always replaying his singing parts even though it’s so short, his voice is so strong and mesmorizing! -My all time faveorite Ye Sung Hwaiting! 4. Adorkable. He appeared on this show, and apparently he’s really shy of dancing outside a performance, and it was so cute. 4. His octopus dance on EHB, LOL. And then when he said that he can’t cry to G.O.D.’s sad song because it’s making him think of black bean noodles. Yeah! I’m very very mad bout this too. How can it be? Whatever, yesung is the first member in suju that i really love so much! i cried reading this and i cannot agree with you enough. he has this beautiful voice and this gorgeous looking face. he may be quiet but when he does talk, he is fun to be with. has a great personality and all. i think he deserve more attention. HE DOES DESERVE A LOT MORE ATTENTION. screw those blind people who didnt notice this. but he does deserve better. i,too, didn’t notice him when i first started liking super junior. but after a while, his quiet and serious demeanour and that beautfiful voice totally killed me. he IS the best singer, no doubt. as a matter of fact, he is the LEAD singer whom Super Junior cannot live without. shouldn’t his manager look into this matter and arrange more schedules for him? IF YOU AGREE WITH ME, THEN SPEAK UP FOFR HIM AS WELL. i cannot bear this sight of him being left out. I mean, you cant deny it; he has a beautiful voice, a gorgeous face and a unique personality. He deserves a lot more than this. Will you, PLEASE, start noticing what a darling he is? I wouldn’t have agreed if it had been the first time i saw Super Junior. He wasn’t much of a talker, not much a pranker either. In fact, cute as he is, he stood in shadows. But as i kept getting hooked on to Korean shows, i noticed how lovable he can be and how he managed to charmed me. Wait, let me rephrase that; HE KILLED ME. You wouldn’t know until you try. I’m telling you; he needs more love! kyuhyun has great voice but it do not have the same strong charm as yesung. he ought to have more attention. in all mv’s, even if its a side view of him, i always get charmed by him and he catches my attention all the time!